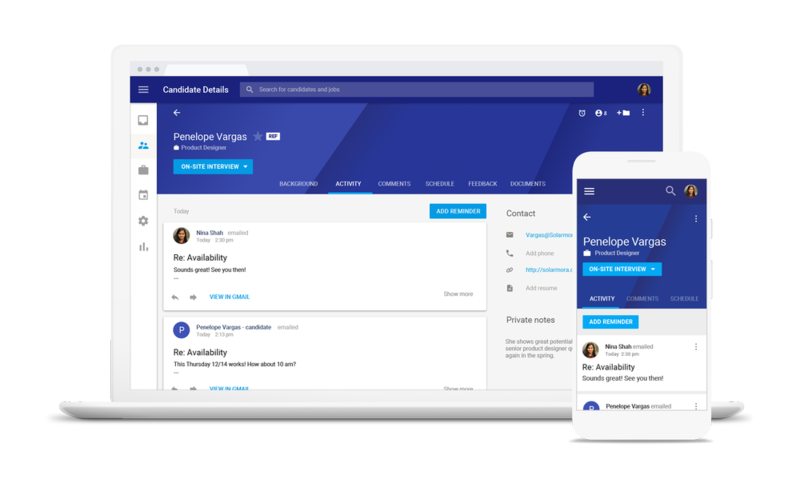 Hire's deep integration with G Suite means that emails will sync between it and Gmail, interviews will be automatically added to the interviewer's Calendar, and all relevant candidate data will be viewable in Sheets. Hire also focuses on simplicity and ease-of-use with a clean look and functional UI. Keep in mind that this is different than Google for Jobs, which focused more on connecting job seekers and employers with the power of Search. All U.S.-based businesses under the 1,000-employee mark are eligible to purchase Hire to add to their list of G Suite products.